Before delving any deeper, here's some Sweet Note basics for novices and seasoned fans alike. The bagels are carefully designed to be gluten-free, vegan, and top eight allergen free, which makes them perfect for people with all sorts of dietary restrictions. 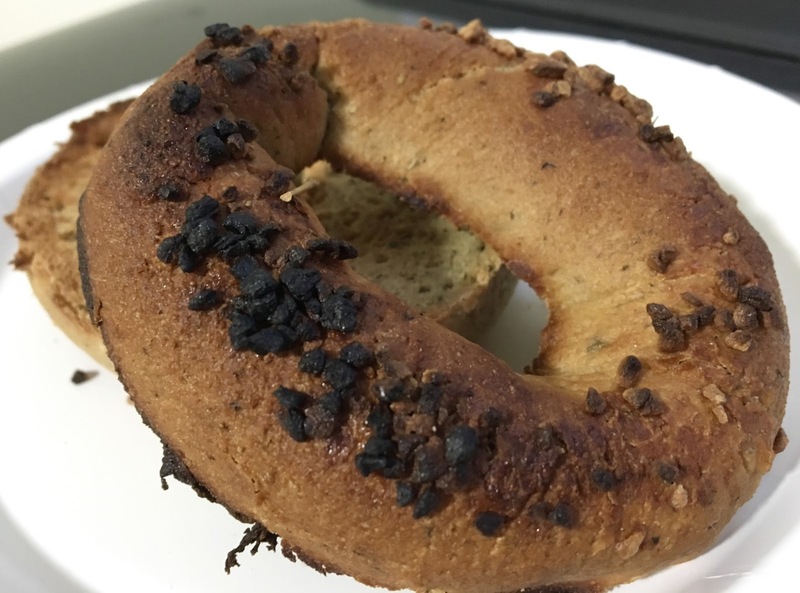 Sweet note places a lot of emphasis on preparation of the bagel, because with proper care it transforms an already good bagel into the chewy, crunchy bagel that gluten-free folks have been dreaming of for awhile. The four step process is: microwave, slice, toast, and enjoy, and I definitely a believer in the method. I am quite a garlic-loving girl, never deterred by the not-so-lovely garlicky taste that lingers long after any meal. 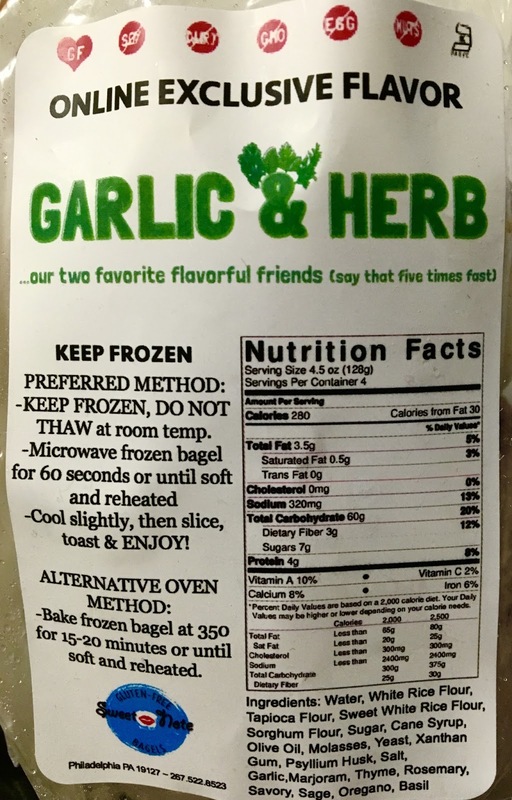 These bagels are wonderfully herby throughout the dough and have a sprinkling of garlic on top for added flavor. 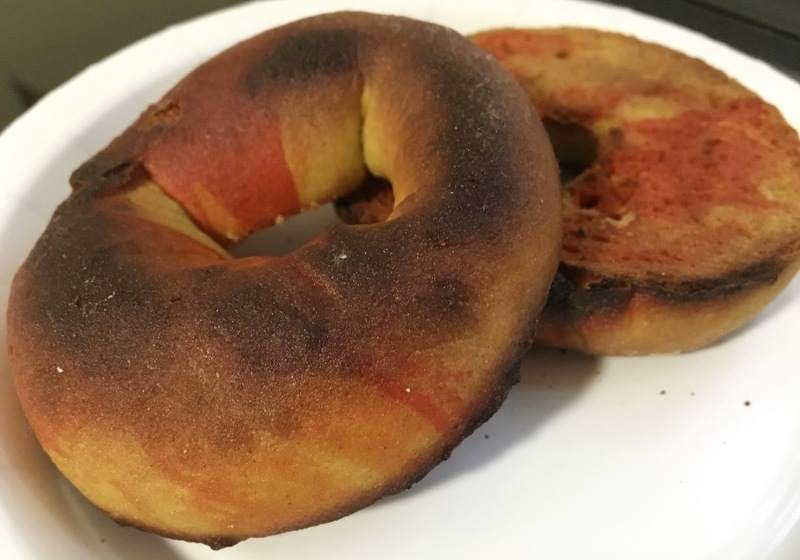 I loved these savory bagels, though don't recommend them for breakfast. Save them instead for pizza bagels or slather them with butter for makeshift garlic bread for an easy and satisfying dinner. 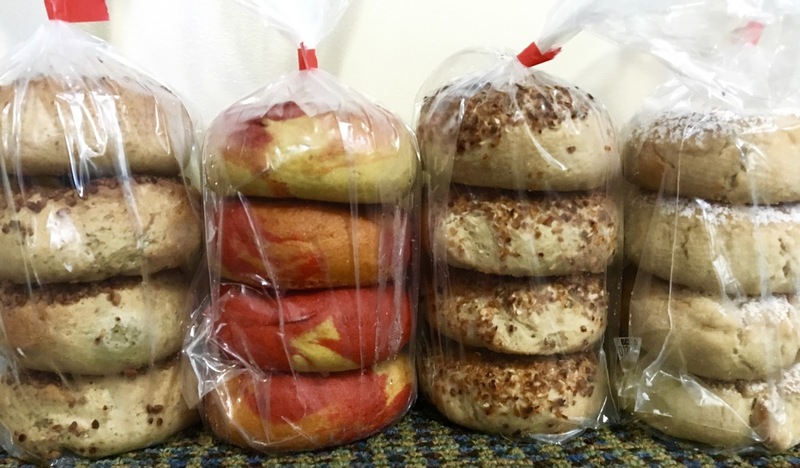 I'm all about adding extra oomph to my morning, and nothing quite does that as well as colorful bagels. With swirls of yellow, orange and red, the color here is derived from natural sources, which means that artificial dies and colors are left off the table here. These bagels taste like their plain counterparts with a hint of spice, but would be perfectly paired with Kite Hill vegan cream cheese to add some cloud white color contrast and creamy flavor. 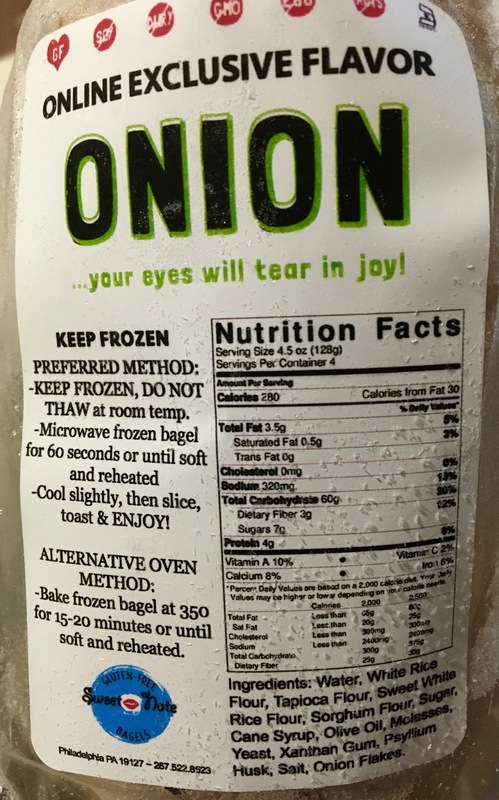 Just as with garlic, onion is another tasty flavor I am quite a fan of. Here, the onion caramelizes a bit when toasted which leaves a sweet and oniony flavor once done. It's like an everything bagel but sans all the seeds, which too often get caught in your teeth! 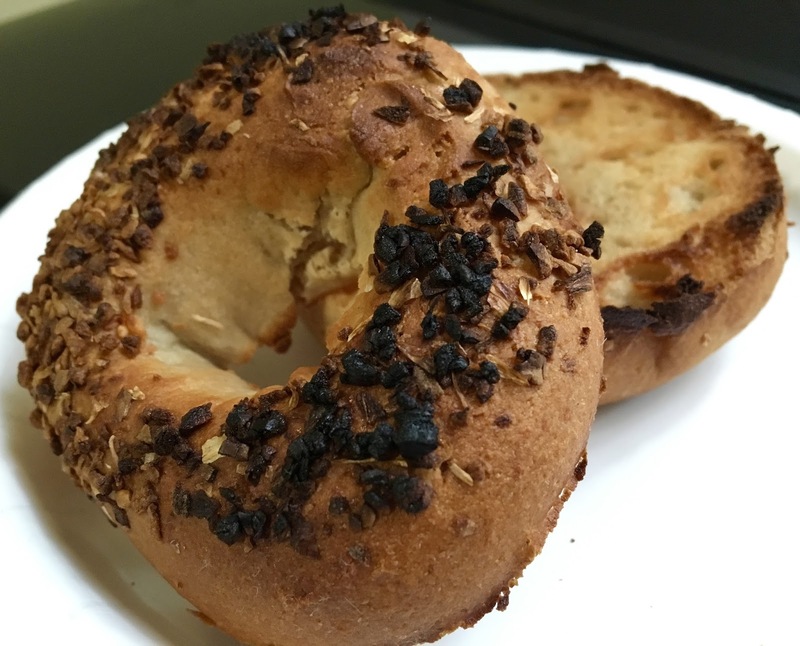 With these bagels, I'd suggest pairing Kite Hill's vegan chive cream cheese for an added savory flavor boost. One of my weaknesses is that I love salty snacks, so I knew even before trying them that these bagels would be a hit with me. Nevertheless, I toasted one up for trial and loved the course salt sprinkled generously around the rim of the bagel like a dusting of snow. 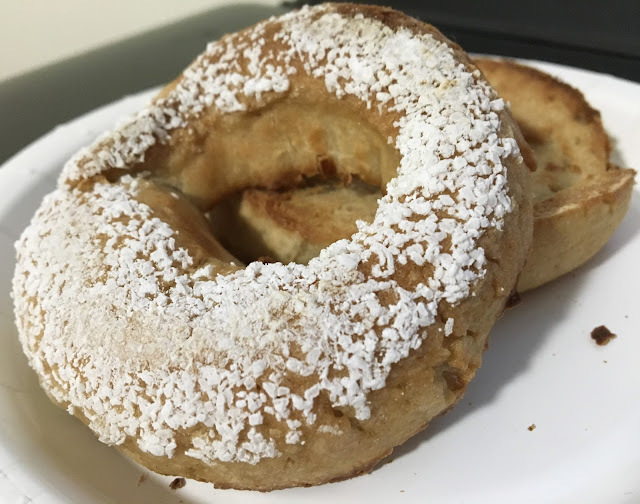 The bagel is paired perfectly with nut butter of any sort (I prefer fresh-ground almond butter), which combines to create a salty, nutty festival of flavor. Overall, I loved all four unique flavors. 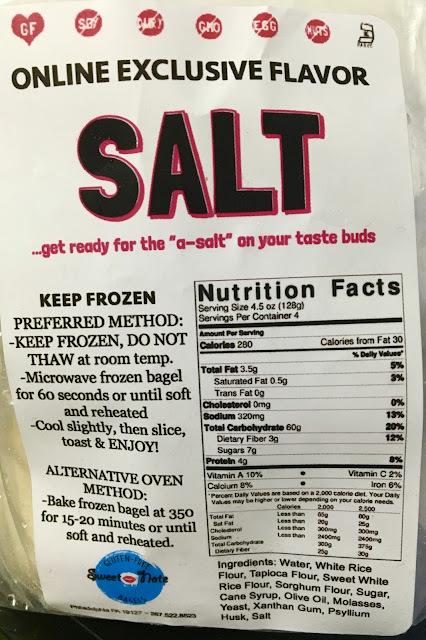 If I had to choose, I think the salt bagel stole the show for me, but honestly they all earned my enthusiastic seal of approval. I will definitely be ordering again soon, and am looking forward to trying more of Sweet Note's new flavors (including unicorn bagels, french toast bagels, and tomato basil bagels). 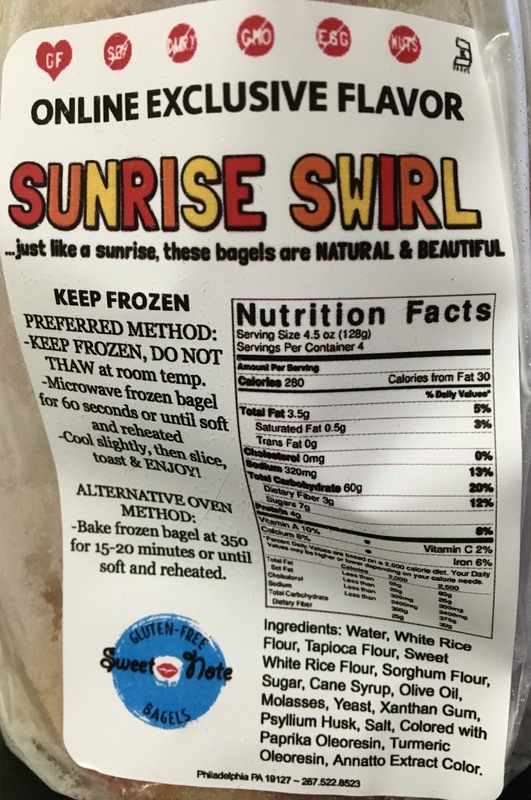 The bagels can be found nationwide through their product locator, or can be ordered online on Sweet Note's virtual shop. Because these bagels are online exclusives, they are exclusively found online, which means they are online order only. Worried about the cost of shipping? Sign up for their newsletter for flash sales and other deals, and I have often found that Sweet Note's online pricing is better than or comparable to in-store prices.